New international cruise terminal was opened in Sokcho port in Oct, 2017. As a home port, 160,000 ton sized cruise can be docking and the new duty free shop will be launched in the terminal. Lotte tour has started a tour package starting from Sokcho to Japan (Sakaiminato) and Russia (Vladivostok). KTX Yongsan (Seoul) – Sokcho will be operated from 2025 and able to transport passengers within 75 minutes only. Yeongrangho and Cheongcho lake in Sokcho are called twin lake as they look alike. Yeongrangho lake has a bike riding with storyteller so you can know about history and myths in Sokcho while riding. Beside this, you can enjoy golf and archery experience as well. Cheongchoho lake is located between the river and Sokcho harbor so the ferry can be sailing in the lake. Expo tower in the lake park is the best observation tower to see the view of Sokcho and you can experience yacht in yacht marina. 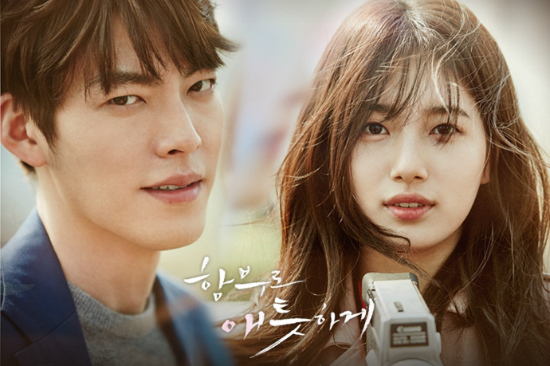 Romantic drama <Uncontrollably Fond> starred by Kim Woo Bin and Suzy was taken in Sokcho. The iconic ending scene in Episode 1 was taken in the snow field in Sokcho. Latest drama <King loves> had a shooting in Sokcho as well. The famous scene that Wang Rin confessed his love to Eun San was taken in Yeongrangho lake area. As a paradise for seafood, you should not miss out amazing food as Ojingeo Soondae (stuffed squid), red snow crab, Mulhoe (raw fish with cold spicy soup), grilled fish dish and others. Hi, we do not have Twitter account but you may follow Facebook page @Gangwon Korea and @KTOMalaysia for more update. Thank you.